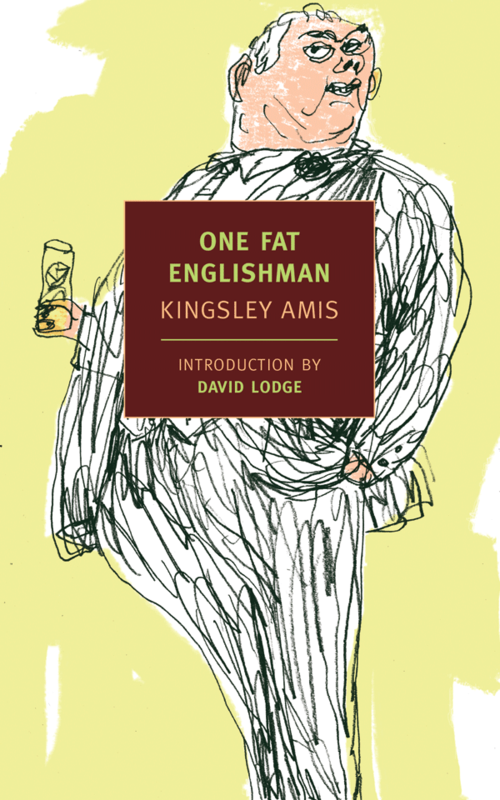 Kingsley Amis wrote bitingly funny academic novels. Lucky Jim, published in 1954, made me laugh so hard that I wept. Nine years later, Amis wrote One Fat Englishman in a similar vein. I really liked Lucky Jim (which was reviewed on this blog this summer). It was funny, and even though Jim was a hapless fool, he had some redeeming qualities. His struggle to hang on at a mediocre university while unable to control his impulses was ultimately hilarious. Whatever Jim was, he wasn’t deliberately mean, and so I more or less rooted for him even as I laughed at his predicaments. Apparently I am much more likely to like a novel if I find the main character at least vaguely likable. I completely subscribe to the Jennifer Weiner school on this and refuse to accept that literature is automatically more worthy if the main character is thoroughly reprehensible. For these reasons, I had a problem with Roger Micheldene, the title character of One Fat Englishman. He was consistently self-centered, lecherous, gluttonous and out of control, with a mean streak. If Micheldene had redeeming qualities they were kept under wraps. There were many funny scenes and predicaments, replete with an unending supply of self-important academics. Reading this book just wasn’t as much fun as reading Lucky Jim, although if I were less annoyed by the main character, I would have to concede this is also a very funny book that sends up conceited, academic nitwits in stellar fashion. “Widows” is a Must-See Movie!